My blogging story happened way back in 2001 when i was 14 and i started up my very first blog. I remember it being like a diary and i would ramble about all sorts of things, never really aiming at one specific topic. Then on the 19th May 2003 my daughter arrived in the world and i had to swap my blog for nappies and late night feeds ( something i will never regret ). Fast forward 4 years when i decided to attend Uni to study for a counselling degree. Counselling was always my calling in life, i would have friends seek me out to help them with their problems and they took my advice regardless of how hard or crazy it may have seemed at the time so i thought why not get a qualification in it! Four years later i had one and i was given my counselling practice license, something i treasure above all other possessions because it was a real uphill struggle getting my hands on it. Unfortunately life dealt me a cruel blow when my best friend and dad passed away within a month of each other in 2007. My world became a very dark place and if it wasn't for my counselling knowledge, i can honestly say that i would've become severely depressed and gone down alot of dangerous avenues. Loosing two of the most important people in your life is an experience i wouldn't wish on anyone, it was definitely the most challenging and blackest periods in my life. I have my daughter to thank for also aiding me through it because all i had to do was look at her beautiful little face and hear her giggling and i would feel so much better. I miss them both dearly and life is very different without them but life does go on and mine certainly did. In December 2012, i met Carl who changed my perspective on men completely. My god i have kissed plenty of frogs and been in shockingly bad relationships and before i met him, i had deliberately stayed single for nearly 3 years. I have learnt so much about relationships and i know that the saying is true that you really do know when you've met the one. Two years later we are stronger than ever, he is an excellent dad to Sarah and we are making plans for our future. 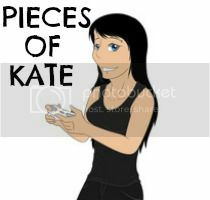 October 2013 signalled the birth of Pieces Of Kate. 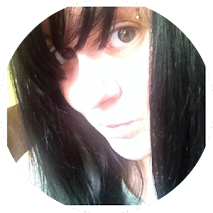 When i started up my blog again i never expected it to give me such opportunities as the ones i've had with brands such as Wynsors and Aviva dresses to name but a couple. But more importantly, it introduced me to the most amazing people who have gone from fellow bloggers to close friends and it truelly is one of the nicest feelings knowing that i have a select group of friends and we all share the same interest. They truelly are a mint set of lasses and i'm so thankful to know them, girls you all know who you are. So now i am in a fantastic place in life. I have a beautiful and bright daughter, a loving and supportive boyfriend, a blog, a youtube channel and a fantastic set of friends. I would say that i'm in a great place right now-even if i am the wrong side of 20.